Teams who sit back and try to score on the counter usually have a clinical target man up front so that even half a chance ends in the back of the net. CHENNAI: Teams who sit back and try to score on the counter usually have a clinical target man up front so that even half a chance ends in the back of the net. 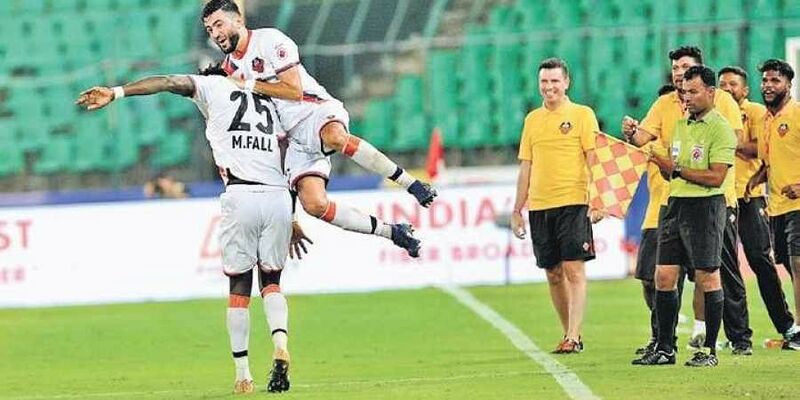 On Saturday, at the Jawaharlal Nehru Stadium, Chennaiyin FC’s game plan was to do the same except they lacked that someone who could score goals. The result? A 1-3 loss to FC Goa. The Goans turned on the style and held on to the ball for most of the match with Moroccan international Ahmed Jahouh pulling the strings at the heart of midfield. Jahouh was unplayable at times with flicks and turns near the Goan defence. The defending champions are known to have a solid backline. But unfortunately, they had a day to forget. In the first half, the home team barely had a shot on goal till the last few minutes. Raphael Augusto won the ball in midfield before passing to Gregory Nelson whose ambitious effort from the 30 yards went inches wide. The visitors took just 11 minutes to break the deadlock. Skipper Mandar Rao’s run and cross down the left flank was well saved by Karanjit Singh. But that was not enough. The resulting throw-in set free Lenny Rodrigues whose lay-off from the right was calmly slotted to the bottom right corner by Spaniard Eduardo Bedia Pelaez. There were times when both set of players lost their cool only for the referee to intervene. But the Goans were better composed comparatively and controlled the game throughout. The visitors bagged their second early into the second half in a very similar manner to the first goal. Seritton Fernandes was quick to react to a throw-in from the left before making a first-time pass to Ferran Corominas who made no mistake. Last year’s golden boot winner tapped in to make it 2-0. By then, Chennaiyin players looked like they had given up. Defender Inigo Calderon was everywhere for the home team and was, without a doubt, the best player for the defending champions. With 11 minutes to go, the Goans sealed the match from a corner. Bedia’s corner found Jahouh on the right flank. The midfielder’s first-time pass was flicked by Corominas to Mourtada Fall who headed it into the top corner. The home team was waiting for the final whistle and looked tired and demotivated. But there was some consolation towards the end. With just a minute to go, Andrea Orlandi, who came in as a substitute, found defender Eli Sabia who headed it in to score the first goal for Chennaiyin this season. With two defeats in two matches, Chennaiyin are nowhere near what they were last year and has a lot of work to do.